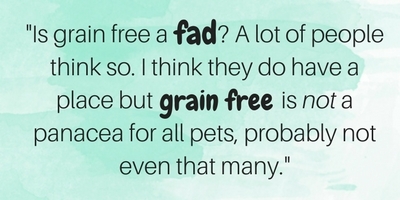 Grain Free Pet Food: Health or Hype? In recent years, grain free pet foods have become extremely popular. This trend was most likely developed in more of a consumer response to human nutrition trends, rather than responding to the nutritional needs of our pets in general. 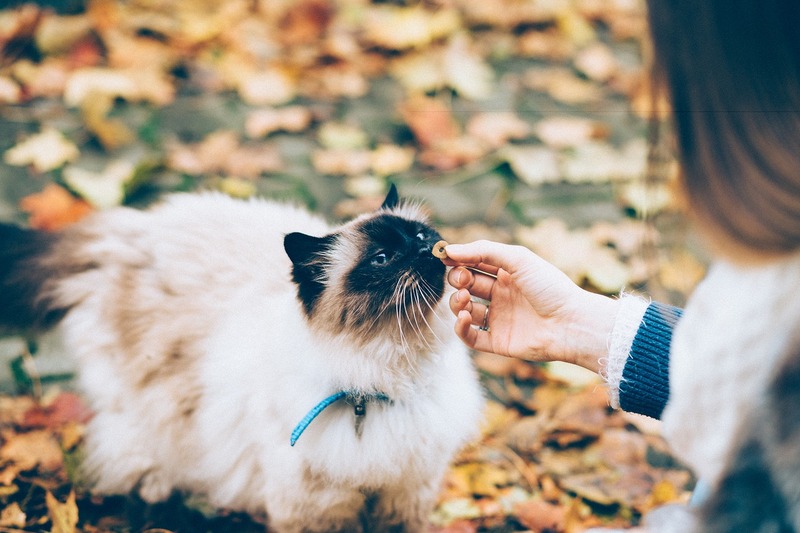 When it comes to choosing the best food for your pet, the most important aspect is providing a complete and balanced nutritional diet, based on the specific needs of the pet. Is Grain Free Food Healthier For My Dog or Cat? Like the answer to many questions when it comes to nutrition and supplements, the answer is “it depends.” It truly begins with your purpose for feeding it. Does Grain-Free Pet Food Mean Carb Free? Perhaps your pet has a higher risk for cancer, so you are looking for a lower carbohydrate food. In this case, you should know that that grain free diets are frequently as high or higher in carbohydrates than diets that contain grain. Grains like rice are replaced with white potatoes, sweet potatoes and tapioca starch as their carbohydrate source. Does Grain-Free Pet Food Help With Allergies and Inflammatory Bowel Disease? Most specialists believe it is usually the protein source that is causing the trouble with these two conditions. One study found that the most likely food allergens for dogs are beef, dairy products, chicken, and wheat. The study found that cats are most likely to be allergic to beef, fish, and chicken. Rice and corn did not place on the list for either species. There is definitely a subset of dogs and cats that are gluten intolerant and improve on a wheat free diet. It is certainly worth a try; however, I believe you would be much better off using a limited ingredient diet or a hydrolyzed diet food trial for 8-12 weeks. Does Grain-Free Pet Food Have a Lower Glycemic Index? If your reasoning to feed grain free is because grains like rice and wheat have changed over the decades, and the glycemic index is higher which alters nutrient metabolism and gut flora, I would agree with you. The problem is everything has changed; including beef, chicken, vegetables- even the water and the soil that everything is grown in has changed. We have no idea about all of the changes and their significance. If this is your main concern, you would be better off feeding your pet a less processed diet than kibble if you really want to alter gut flora and nutrient absorption. I have been told that people just want to know what they should feed their pet. Well, it just isn’t that simple. Pets are individuals and different foods do different things in an individual body, just as in humans. As pet owners we have to be paying attention to what a certain food does to our pet. Are they thriving? Is their coat shiny and sleek? Are they well muscled? Are they fat? Do they have flatulence? Is their stool solid or loose? Change only one thing at a time with your pet’s diet and see what changes. You are the best one to know. We have been in the business long enough to have seen many food and supplement fads come and go - there is a new one every year. Still not sure if you should have your dog or cat on a grain free diet? Contact us!